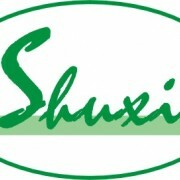 ﻿ Chengdu Pujiang Shuxi Plant Biochemical Co., Ltd.
Chengdu Pujiang Shuxi Plant Biochemical Co., Ltd.
Chengdu Pujiang Shuxi Plant Biochemical Co., Ltd. is located in Pujiang, 60 km to Chengdu (about one hour’s drive), about 40 minutes’ drive to the Shuangliu Airport. Covering an area of 9,900 square meters, it has a total of 120 employees,among which staffers bearing associate degree and above is 25.The Company is engaged in research, development, production and sale of natural plant material medicine and has the independent right of own-operation export and import. Its main products are hesperidin, synephrine, rutin and it is a supermarket of hesperidin nearby.